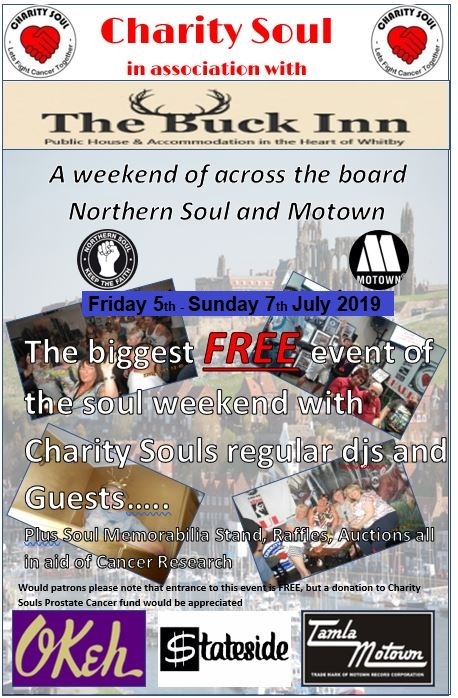 Come and join Charity Soul at the Buck Inn Whitby Friday 5th July – Sunday 7th. Free entry. Merchandise stand with artwork by the renowned artist Terry Kneeshaw on sale. Raising funds for our fantastic cause helping to find a cure for prostrate cancer.